The Florida Panthers have fired Head Coach Bob Boughner after two seasons behind the bench. The team has also relieved Assistant Coach Paul McFarland of his duties. 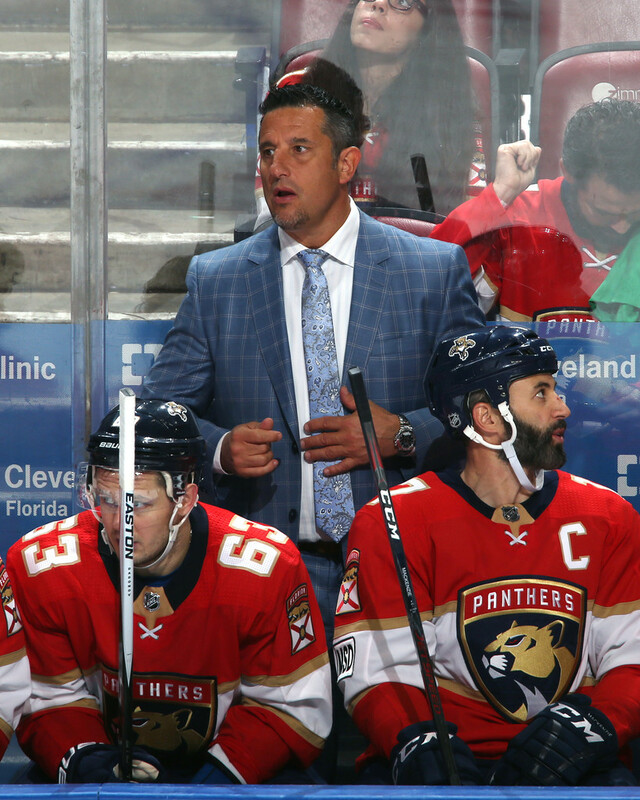 Boughner, 46, was named the 15th head coach of the Panthers on June 12, 2017. “We made a tough decision today and have relieved Bob Boughner of his duties as head coach,” said Panthers GM Dale Tallon. “We didn’t meet expectations this season and share responsibility for that fact. After careful evaluation, we have determined that this is a necessary first step for our young team and we will seek to identify a transformative, experienced head coach with Stanley Cup pedigree to lead our team going forward. Prior to joining the Panthers, Boughner served as an assistant coach for the San Jose Sharks for two seasons (2015-17) and helped the Sharks advance to the postseason twice. He began his NHL coaching career as an assistant coach with the Columbus Blue Jackets in 2010-11.